Gov. 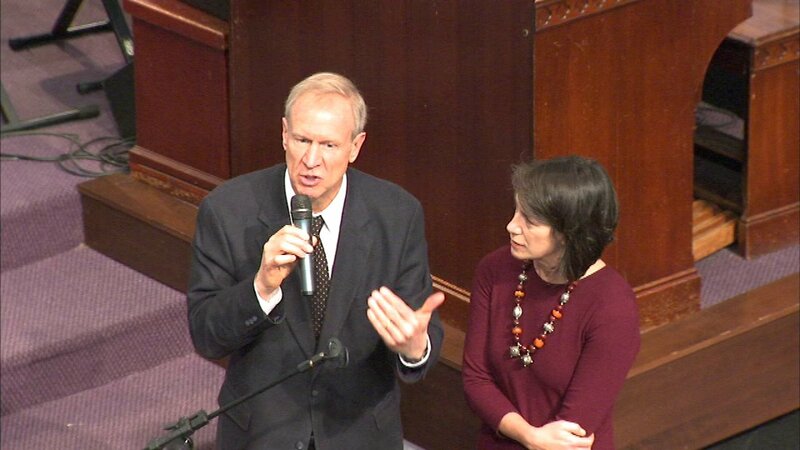 Bruce Rauner and his wife at New Covenant Missionary Baptist Church on Sunday, Jan. 17. CHICAGO (WLS) -- Gov. Bruce Rauner attended services Sunday at Covenant Missionary Baptist Church on the South Side, telling congregants that elected leaders are failing the public. Rauner said both local and state leaders are failing on public safety, education and on jobs in neighborhoods. "That is partly my fault, that is partly the mayor's fault, the city council, the general assembly, we're elected to do a job and we are not getting our jobs done for you," Rauner told church-goers. Attendants wrote out advice and questions for the governor on problems in the state. Rauner promised to read them and return there to respond.